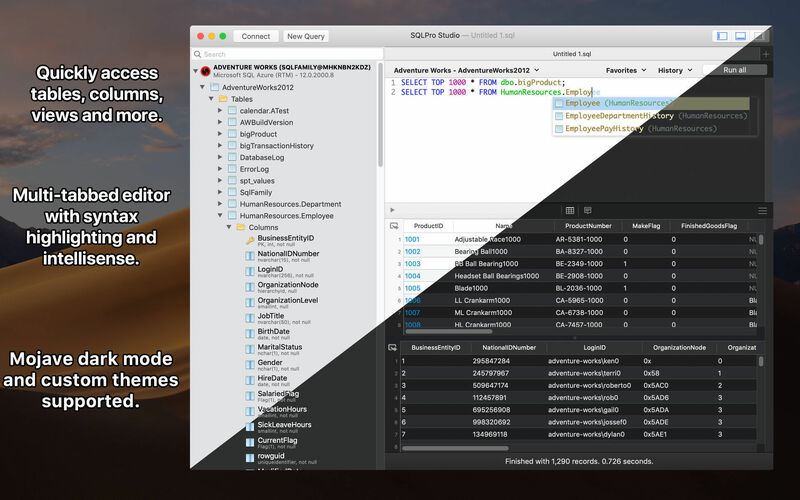 SQLPro Studio is the premium database management tool for Postgres, MySQL, Microsoft Management Studio and Oracle databases. Fixed an issue where the app could close for some users when opening preferences. The connections window is now resizable on systems running macOS 10.14 and above. Autocomplete no longer requires the AS keyword to detect table aliases. Fixed a crash that could occur when connecting to sample database.